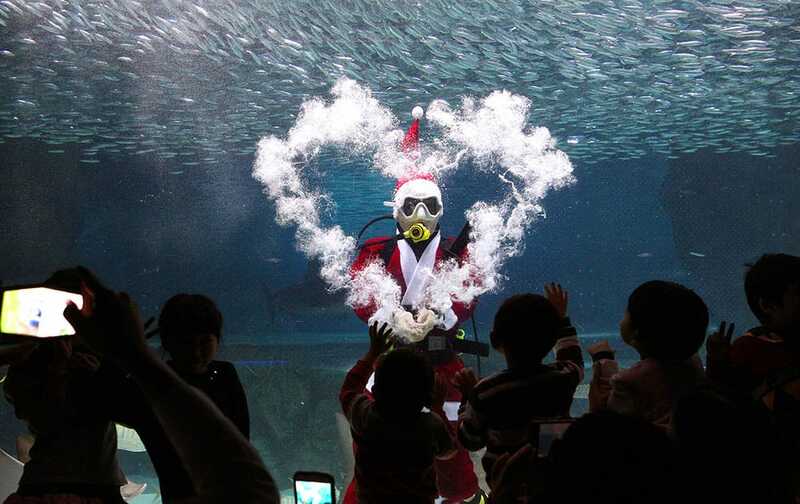 A diver dressed in a Santa Claus costume makes the heart-shape with bubbles at the Coex Aquarium in Seoul, South Korea. 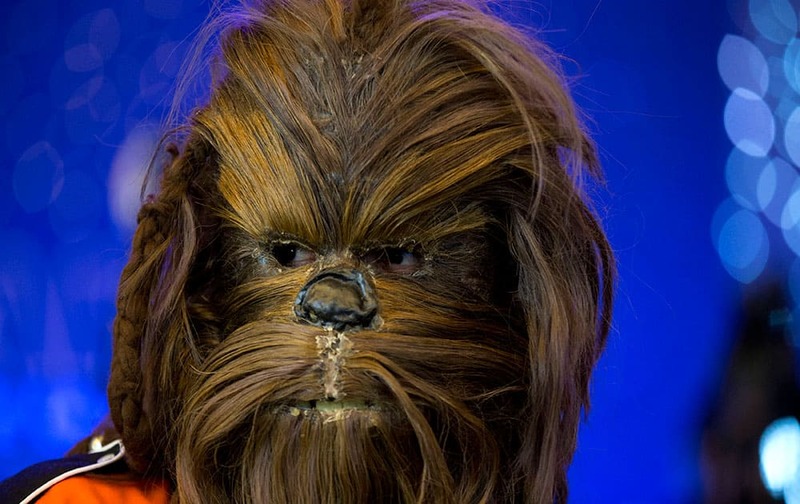 A Star Wars fan wearing a Chewbacca mask waits for the start of a fan event to promote "Star Wars: The Force Awakens," at Antara Fashion Mall in Mexico City. 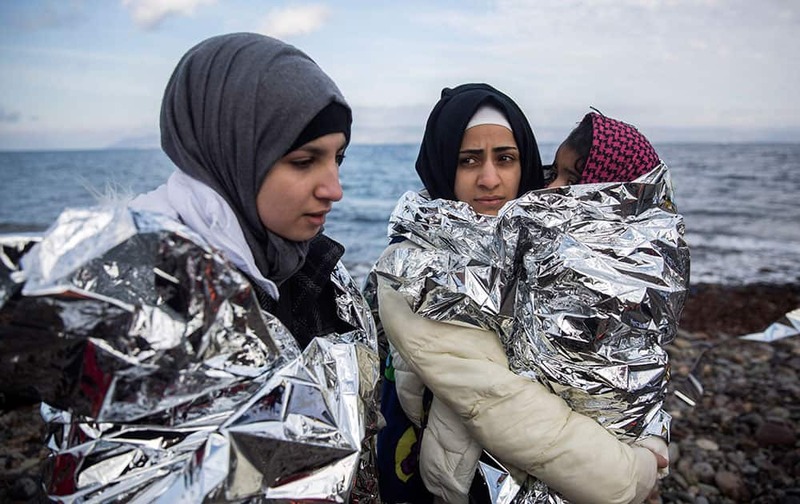 Women covered with thermal blankets after their arrival with other migrants and refugees on a dinghy from the Turkish coast to the northeastern Greek island of Lesbos. 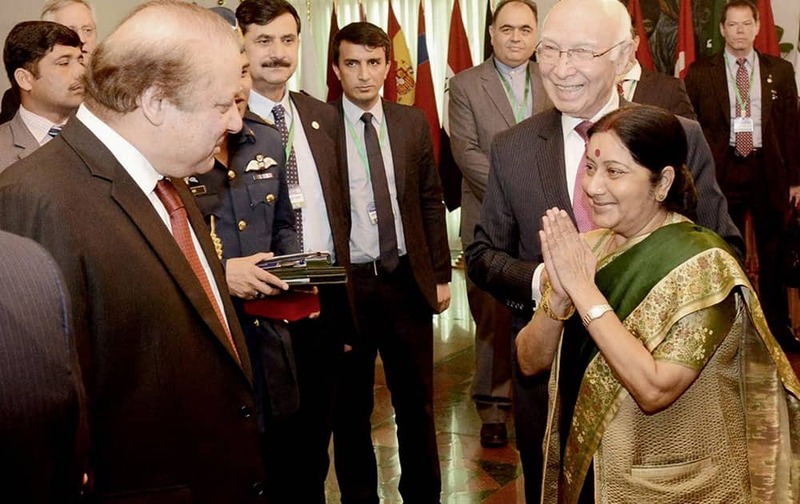 External Affairs Minister Sushma Swaraj greets Pakistan Prime Minister Nawaz Sharif as Pakistans Foreign Affairs Adviser Sartaj Aziz looks on at the Ministerial Conference of Heart of Asia - Istanbul Process in Islamabad. 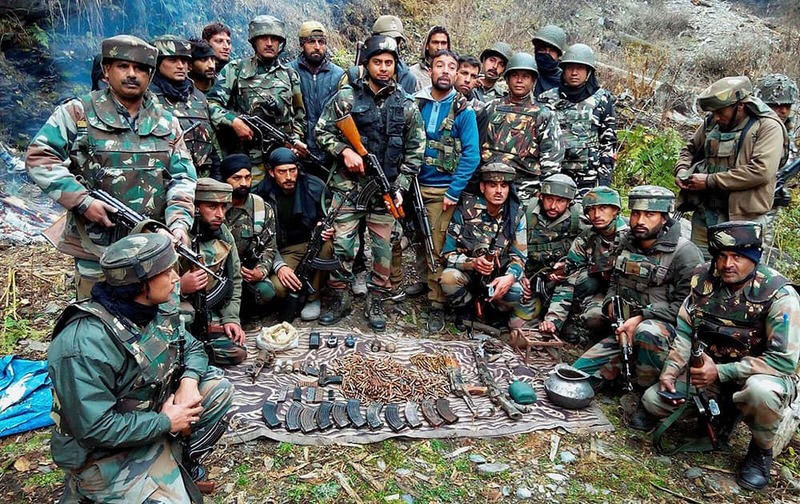 Army Jawans with the arms and ammunition recovered from the possession of militants after a joint team of Delta Force and police busted a militant hideout in Doda district of Jammu and Kashmir. 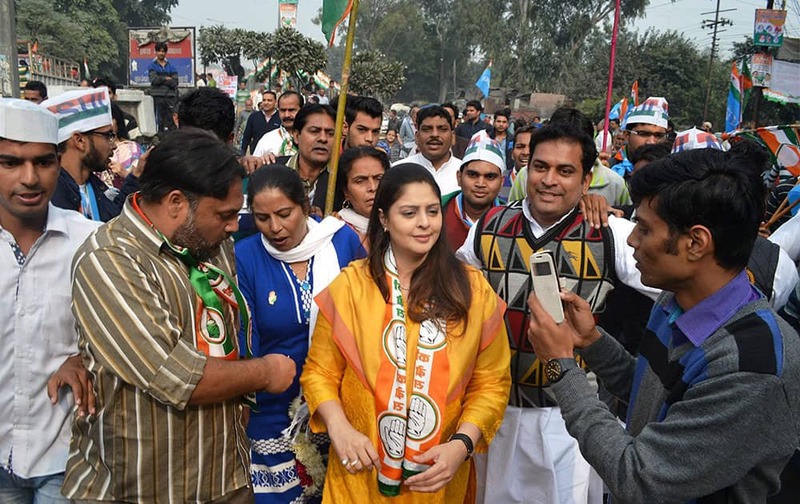 Actress and Congress leader Nagma along with party workers during a Padyatra in Meerut. 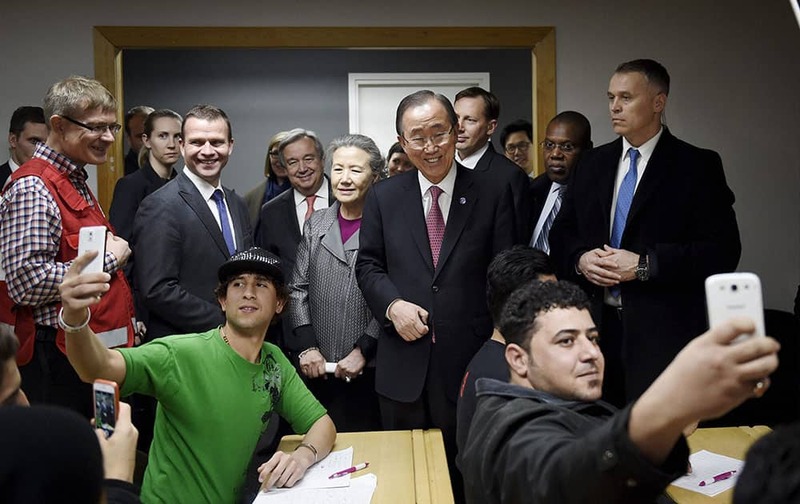 United Nations Secretary General Ban Ki-moon, centre, visits a reception centre for asylum seekers with Finnish Minister of the Interior, Petteri Orpo, second left, in Vantaa, Finland.